Originally built between 1908 & 1910 to house the Ogden Commission Company, The District was home to various produce and feed companies up until 1938 when Raat Plumbing and Goodyear Tire and Service moved in. (The historic photo on the left is the only photo found to reflect the original condition of the building when it was built). Goodyear remained until 1958. In the 60’s and 70’s the building reflected Ogden’s tough times and fell into use as a hotel, lounge & grille, and studio. purchased it to become the new home of The Hi-Fi Shop. It remained in use as The Hi-Fi Shop through the 80’s & 90’s. 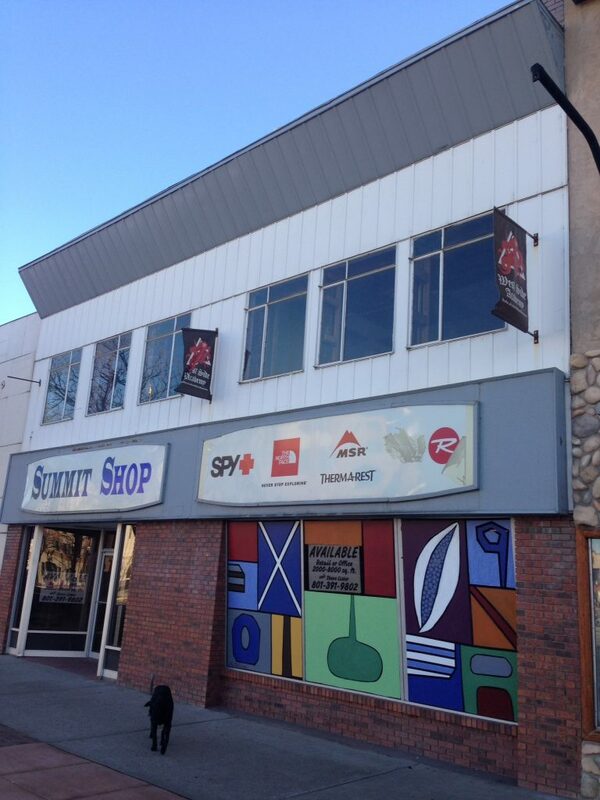 The Summit Shop and Westside Martial Arts occupied the space most recently, as reflected in this photo taken in 2014. 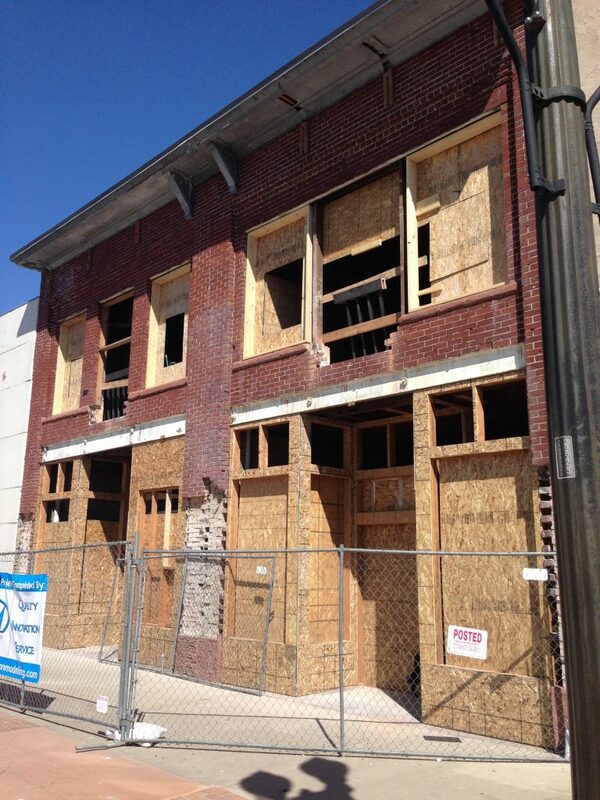 We purchased the vacant building in late 2014 and sought to restore it to it’s original glory. Demolition began as designers worked on the building’s new image. With the recent revitalization of The Junction directly across the street, it was decided that upscale urban housing would be a great fit. The District Lofts was born! With the direction decided for the upstairs, we got to work completing our vision. 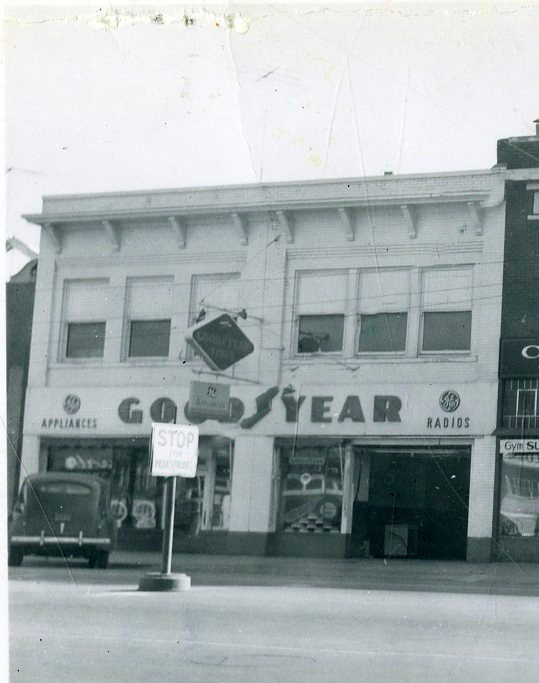 Unfortunately, the old Goodyear sign did not exist as we pealed back the layers but we did find most of the original building front completely intact. 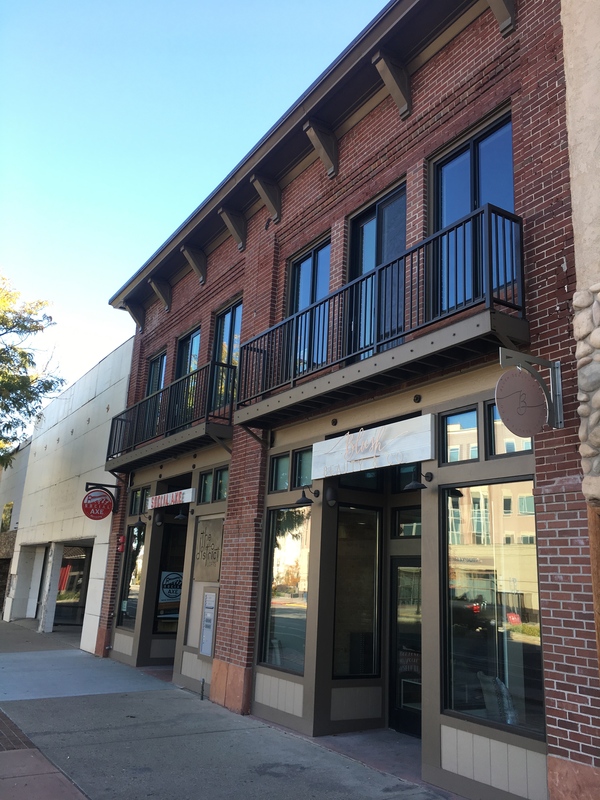 New windows, a new storefront, addition of balconies overlooking Washington Blvd, and a fresh coat of paint on the original metal cornice… the rendering is complete! The District now stands as a reminder of how revitalization of historic urban areas can breathe new life into a city known for adventure and new beginnings. Welcome to The District & The District Lofts!